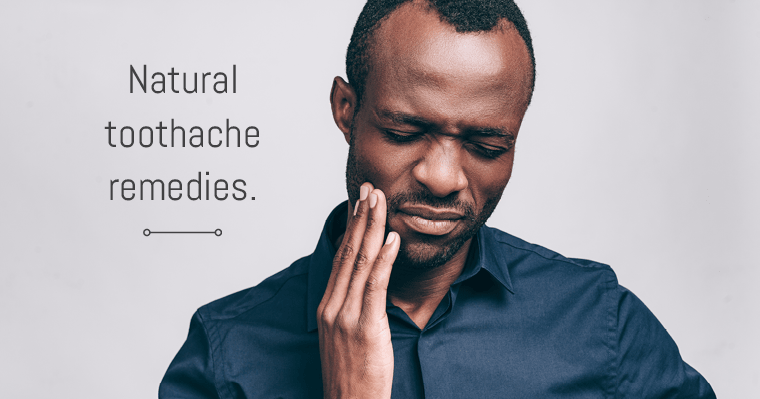 Toothaches can be debilitating and frustrating, to say the least. If you have a toothache and cannot see your dentist right away, here are three of the best natural toothache remedies you can try at home to ease the pain quickly. It is important to know that if a toothache persists for more than three days and is left untreated, you could be suffering from a serious health condition that could possibly cost you a tooth or more! If this happens, call your dentist immediately. 1. Rinse with warm salt water. The detoxing properties of salt, when combined with warm water, provide a cleansing and soothing effect on the affected area. Often, swishing warm salt water in your mouth loosens debris caught in teeth and can provide temporary relief. Mix one teaspoon of salt in a warm glass of water. Swish around in your mouth gently for 10-30 seconds. Spit out the water. Do not swallow it. 2. Use an ice-cold compress. If you notice persistent swelling of the jaw or face, you must contact your dentist immediately. Applying a cold compress may reduce the swelling and numb the pain temporarily. Place some ice in a resealable plastic bag and cover with a damp towel. Apply pressure with the cold compress on the swollen area. Hold in the area for a few minutes until the pain subsides. Note: Never apply ice directly to the tooth, since extreme temperatures can permanently damage the root. Clove oil serves as an effective natural toothache remedy since this plant is known for its numbing properties, similar to over-the-counter pain medication, such as benzocaine. Clove oil is easily found in health food stores and is relatively inexpensive, making it a good item to keep handy in the home. Put a few drops of clove oil on a cotton swab. Gently apply to the affected tooth. Try not to eat or drink for a few minutes to allow the area to absorb the oil. Note: If you feel the clove oil is too strong, mix it with equal parts of olive oil to dilute it. Everyone has had a toothache at some point in their life. Keeping these three effective natural toothache home remedies handy will help you deal with the pain until you are able to see your dentist to provide a permanent solution to your pain. Do you have a favorite natural toothache remedy? We would love to hear about it! Share yours in the comments below!